Sign Up for Brilliant Distinctions. Make sure to bring your Brilliant Distinctions account information with you to activate the reward every appointment during the promotion period! 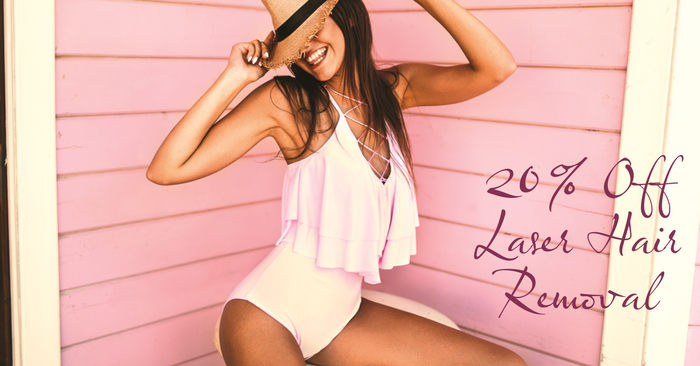 Schedule your appointment for Botox treatment between April 1 – May 31, 2019. Receive your 2nd Botox treatment (30+ units) 91-120 days later to redeem a second $50 Off coupon through Brilliant Distinctions. Receive your 3rd Botox treatment (30+ units) another 91-120 days later to earn a coupon for $100 Off Juvederm fillers through Brilliant Distinctions.! 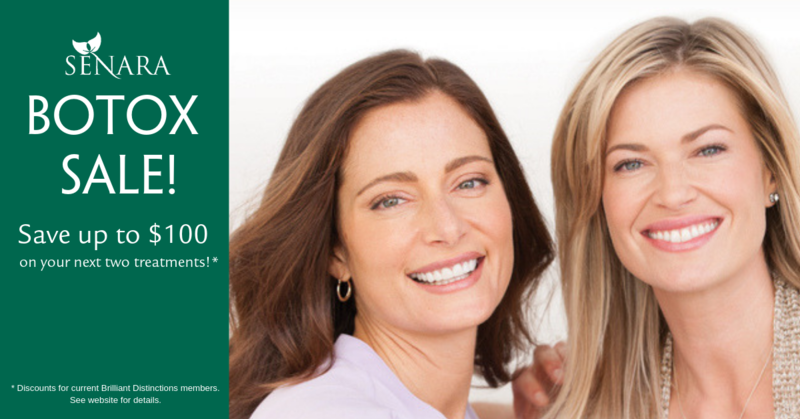 Receive your 4th Botox treatment (30+ units) 91-120 days after your 3rd treatment to receive a coupon for 50% Off up to 50 units!!! Call 309.693.9600 to schedule your first treatment today! * Minimum purchase of 30 units of Botox per treatment. Guest is responsible for activating all applicable coupons and offers through Brilliant Distinctions to receive discounts. All coupons are time sensitive and must be redeemed during the applicable promotion period. Senara is not responsible for tracking guests’ offer redemption periods and can not honor expired coupons. Get Beach Body Ready With CoolSculpting! Buy 3 CoolSculpting Cycles, Get 1 FREE – an $800 savings! On Sale now through May 31, 2019. Senara is the leading provider of the CoolSculpting procedure in Central Illinois, providing over 2000 treatments to freeze away the fat in the abdomen, back flanks, double chin, arms, and inner and outer thighs! Plus, Senara now offers Z Wave Cellulite Reduction Treatment to improve results! Cost: $25 Prepaid, $30 at the door. RSVP required. Please tell us the total number of guests in your party, including yourself. I would like to save $5 by prepaying for my ticket(s) online! I would like to only register at this time, I will pay $30 at check-in. 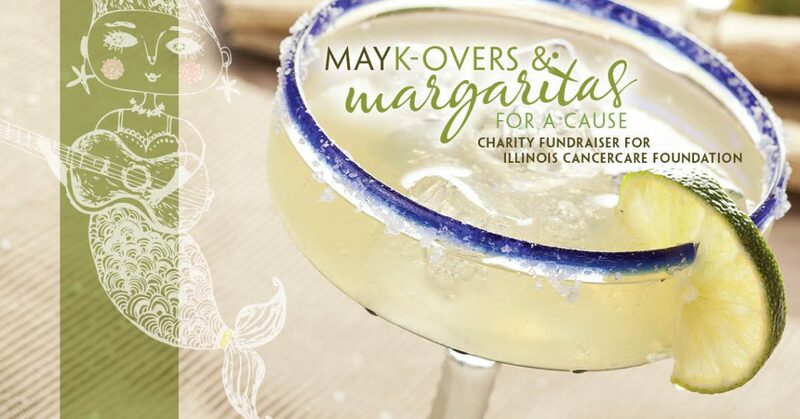 RSVP for you and your guests via our website, or by calling 309.693.9600. Regenerative Medicine using Platelet Rich Plasma (PRP) and Stem Cells from full term deliveries is the next breakthrough in treatment of chronic pain and anti-aging therapies. 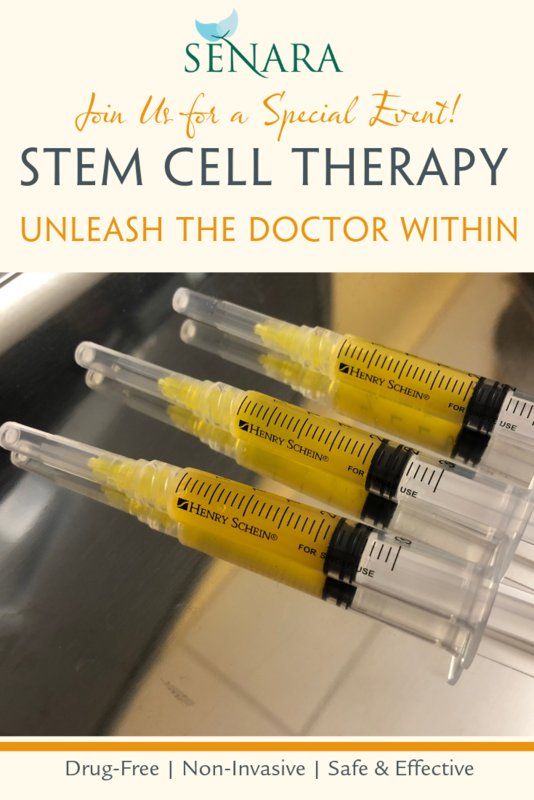 Dr. Keith Kramer, Functional Medicine Practitioner and Chiropractor, will walk you through how Stem Cell therapy works, what it can treat, and how it is sourced and administered. Join us for this FREE educational seminar, Thursday May 9, 2019. Sessions at 11:30am and 6:00pm! Human cells and tissues- created from your own blood or from donated human tissue from full term deliveries- replenish damaged tissue to eliminate pain and dysfunction at the treatment site. Senara sources stem cells from an FDA-registered lab, ensuring quality clinical standards are maintained from start to finish. To see current special offers in our Spa, please visit the Spa Specials page.